If you sought out this article, that likely means the following three things have happened: you did not pass the bar, you spent the necessary time to regroup, and you are ready to do things differently to pass this upcoming bar. One new thing you get to do (and unequivocally should do) is review your essay answers as part of your study regimen. I get it, the thought of carefully looking at an exam you didn’t pass may make you cringe and want to run away and hide. But cringing and hiding won’t help you pass the bar. Confronting and identifying your areas of weakness through critical evaluation, however, definitely can! The IRAC method may have been born in law school, but it lasts your entire legal career. It is the standard analytical framework attorneys use when assessing any new legal question, whether it be a hypo in class, a question on the bar, or an issue a client comes to you with seeking your help. I have no doubt that if you use IRAC well, you are more likely to pass the bar. Logically, if you didn’t pass the bar, chances are that you did not use IRAC well. So, when you sit down with your essay answers, see if you can identify each section of IRAC in your answer. (Tip: If you aren’t sure, try highlighting each part of IRAC with a different color highlighter). If you can’t, incorporating the missing section(s) is something you can and should immediately work on fixing! Strong issue statements (ideally set forth in headers and sub-headers) make a superb first impression on the grader. They help the grader quickly navigate your answers to confirm you included everything needed to obtain a passing score. Additionally, they can help you stay focused on only answering the question that was asked, as opposed to writing about an inapplicable issue (which is a common mistake with repeat test takers). When you review your essay answers, check to see whether you used headers and, if so, whether those headers address the question that was asked. If you didn’t use headers before, now is a great time to start! If you find that you consistently misidentified or outright missed issues, you know you have to focus on issue spotting, which likely includes bolstering your understanding of the black letter law. In reviewing your essay answers, assess whether you are correctly setting forth the rules and whether you have included enough law in your answers to obtain a passing score. Generally speaking, if you only write one or two rules for each of your essays, you aren’t going deep enough into the law needed to obtain a passing score. I find that students who haven’t passed the bar generally fall into one of two camps with respect to rule statements, either (1) the rule statements are generally poor to okay across the board, such that all of the essay scores are consistently pretty close to passing or low or (2) the rule statements are excellent for some topics but awful for others, such that some of the essay scores are high and some are low. It is critical that you identify which camp you fall into, so that you can accurately tailor your study approach. Your analysis is the heart and soul of any exam answer. It is where you must wed rules and the legally significant facts. In reviewing your essays, see if they are predominately, if not exclusively, rule statements. If they are, you aren’t showing the grader you know how to think like a lawyer. If your essays quickly reach a conclusion without the support of legally significant facts, that tells you that graders will view your answers as “too conclusory” to warrant a passing score. 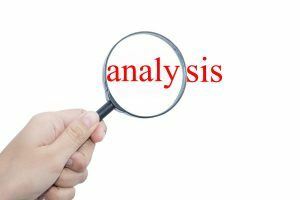 The analysis section should be your largest section and, ideally, it will include arguments and counterarguments and address legal or factual ambiguities. Honestly assess whether you confront ambiguities head on. If not, start now! Huge point increases can occur by improving your analysis. Your conclusion should be clean, tight, and supported by your rule statements and analysis. While the conclusion doesn’t carry the same weight as the other sections of IRAC, if you see that you consistently miss setting forth a clear conclusion, you are missing out on a few easy to grab points! Many students who don’t pass the bar spend too much time writing about non-issues or minor issues, which means time will expire before they can discuss the major issue. In reviewing your essay answers, see if you latch onto smaller issues that you feel comfortable with at the expense of other issues. Remember, you have to be selective with the law and analysis you include in your answer. Not all of it will be on your grader’s checklist, and using valuable exam time to recite irrelevant information won’t help you pass. If you see large chunks of your answers missing (example: You completely skipped answering a sub-part to an essay or an entire essay question), you really have to work on time management this time around and answer every question, including all sub-parts. You have to practice in a timed environment free from distractions. If you practiced under timed conditions but skipped an entire section on the actual exam, do not despair! Some students find success by practicing under even shorter timed conditions (say 55 minutes per essay), because this helps them speed up their writing and learn how to triage an answer under greater pressure. There is so much good information contained in your past bar exam regarding your strengths and weaknesses, and it is yours for the taking! As always, we are here to help you succeed! Help! My Bar Exam Practice Scores are Going Down! Sara O'Connor is a law school tutor and bar exam tutor for the Law School Toolbox and the Bar Exam Toolbox. While in law school at Duquesne University School of Law, Sara received the Outstanding Appellate Brief Award in her Legal Research & Writing course and served as a tutor for their nationally-ranked Legal Research & Writing program. She also served as a Law Review Associate Notes and Comments Editor, received a Cali Award in Administrative Law, competed on Mock Trial teams (one of which became Quarter Finalists),coached a high school team that went on to become District Champions and Semi-Regional Champions, and graduated third in her class. After graduating, Sara practiced law for several years at K&L Gates, LLP in the areas of commercial disputes, insurance coverage, toxic torts, and product liability. However, she could not resist the temptation to teach and found herself serving as a Bar Prep Tutor, Trial Advocacy Adjunct Professor, and an undergraduate and law school mentor and adviser. Sara has since left Biglaw to devote herself to her two passions -- working with students who know their worth and potential but may need assistance reaching it and showcasing her artwork throughout the North East. Sara regularly blogs about law school, the Bar exam, and the practice of law.